Top 5 Toddler Sleep Myths Debunked! So you managed to make it through the sleepless nights of your child’s infancy. Congratulations! Now that your precious baby is a toddler, you’ll observe some developments in their behavior. Their motor and communication skills will improve drastically, they’ll be able to express themselves through hugs, kisses, and tantrums—unfortunately—and they will have a lot of energy to learn about everything around them. You’ll probably hear another set of advice and suggestions from other parents on how to handle your growing child, and some of their supposedly wise words may conflict with what you’ve read from books and expert sources. Once again, we are here to help you separate the facts from old wives’ tales when it comes to sleep. Here are the five most common myths toddler’s sleep—debunked! MYTH #1: Never Wake Up a Sleeping Toddler. Who would want to wake up a sleeping toddler? It sure would sound crazy to a parent—or to anyone, for that matter—if you tell them that they should wake up a sleeping child. Not only will you disturb their sleep, but you risk losing precious moments of peace and silence for yourself, which comes very scarcely when you have a toddler. It may be hard to believe and follow, but it’s actually better to set a sleep schedule for them and wake them up at a constant time in the morning, preferably between 6 to 8 AM since their natural bedtime falls between 6:30 to 8:30 PM. Toddlers generally need 12 to 15 hours of sleep. These include daytime naps and nighttime sleep. If they overslept during the day—through extra hours in the morning or unscheduled and scattered naps—they will have a harder time falling asleep at night, or they will experience increased wakefulness, since they’ve already spent their “sleep hours”. This also means less sleep for the parents since toddlers who are wide awake will surely seek their attention. It’s important to set a sleep schedule for the toddler and stick to it. MYTH #2: Late Bedtime Equals Late Wake-Up Time. If your toddler is already wide awake at 3 or 4 AM, your solution may be to put them to sleep at a later time expecting them to adjust accordingly and wake up a couple of hours later, as well. This is actually a common mistake committed by parents, and aggravates the situation even more. Toddlers typically wake up early regardless of the time they went to bed. Tucking them in later will result in an a shorter period of sleep, possibly also resulting in a cranky and irritable child during the day. They may also compensate with excessive daytime naps, which will result in another late bedtime in the evening—a domino effect that you definitely don’t want to start. Besides, a late bedtime could possibly result in a fatigued child that will have a more difficult time falling asleep—more on this later on. MYTH #3: Sleep Training is Not For Toddlers. Let’s set the record straight: Sleep training, or teaching your toddler to sleep on their own, is not a bad thing—and it’s not only for infants. Sleep training will ultimately result in healthier sleep habits and less tantrums during the night. Moreover, a study in Australia found out that babies that underwent certain methods of sleep training had less stress hormones in their saliva, meaning they experienced less stress and anxiety compared to those who didn’t follow any sleep training method. There weren’t any emotional or behavioral differences between the two groups, either; even after 12 months from when sleep training was started. And at this age, it’s even perfectly fine to start training the child to sleep in their own bedroom, much more to sleep without your help. MYTH #4: Overtiring Toddlers Will Make Them Sleep Earlier. For us adults, we generally have no problem sleeping if we are overly tired from a long day’s work. Often times, we don’t even notice that we’ve already fallen asleep at the couch. The opposite is the case with toddlers: They find it harder to catch some z’s if they become exhausted.Let’s be clear first: Being tired is perfectly normal for children, and indicates that their bodies already need proper rest and recuperation. If they are tired right before bedtime, then it means they’ve had the right amount of activities during the day that they can recover from during their sleep. Being over-tired brings out a whole different scenario. Aside from being fussy, irritable, clingy, and generally restless, the most concerning impact of over-tiredness is the effect on their sleep. They’ll have a hard time falling asleep due to hyperactivity, and even when they finally do, they will have wake up frequently until they’re up at an unusually early hour. Consequently, their daytime naps will be out of schedule to compensate for their lack of sleep, and the last thing you want is to break the toddler’s sleep schedule. If you can recognize signs that they are tired, like clumsiness, crying, and constantly seeking for attention, then you can already reduce stimulation and get them ready for bed. MYTH #5: Naps Are Not Needed Anymore Once They Hit Toddlerhood. From a sleep schedule that’s basically round the clock during their infancy, children who enter toddlerhood will have a more consolidated sleep; they will normally sleep from 10 to 12 hours a night, and transition from two separate naps a day—one in the morning and one in the afternoon—to a single but slightly longer nap a day. This process is gradual, though. Your child won’t go sleeping all day to sleeping only during night time in one snap of a finger. Younger toddlers need 2 naps a day, which will decrease to a single nap by the time they reach 2 years old. When they reach 3 years, only then will they not nap at all, although there is still a small percentage of children that may take a morning or afternoon nap up until their pre-school years. Do take note though, nap requirements vary from toddler to toddler; there are some who will stop napping as young as 2 years old. There are certain signs that you can observe if your little one is ready to give up naps and settle for a regular night only sleep, such as taking a longer time falling asleep during nap and bedtime. They may even not nap at all and experience no negative effects. 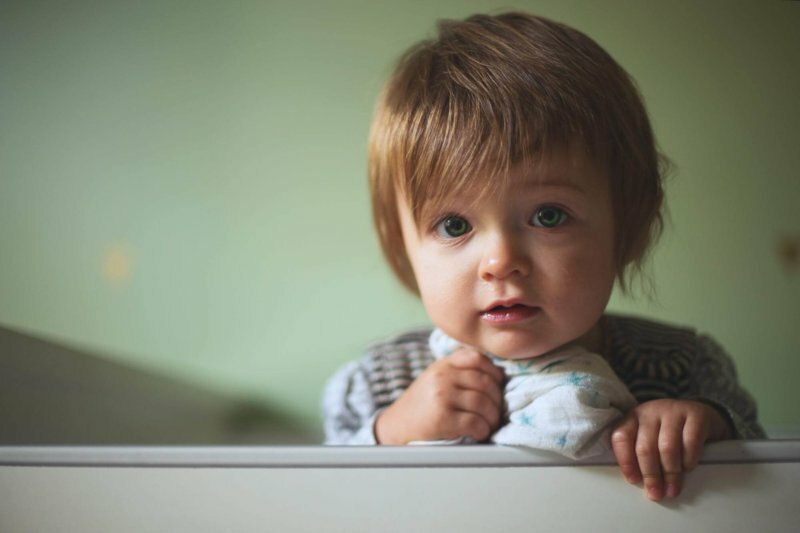 It may be a good idea to create a chart of your toddler’s sleeping times to catch these signs and immediately recognize when they are ready to say bye-bye to naps.